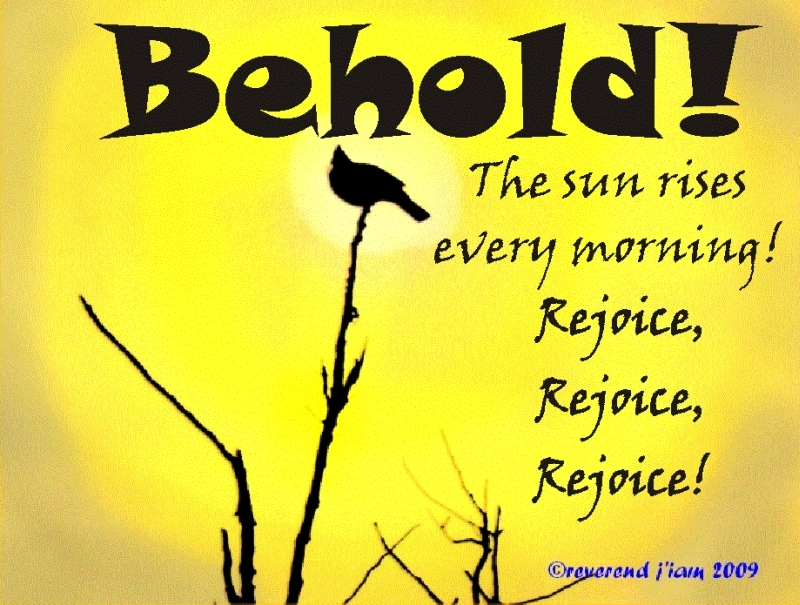 Behold the glory of a new day in your life! Every night we die to this world and enter the spiritual world! Each morning we are reincarnated beck into the same body we occupied yesterday. The Bhagavad Gita is the only Holy book from God that talks about reincarnation and it is in this sense of daily rebirth it is talking about. Read it this way and It makes total sense. Read it in the way man thinks of reincarnation and it doesn’t make sense at all! God is the Creator, not a recycler!